We've posted before about the Orange Estates area of Downey, where there used to be more orange trees than houses. (See If you're an orange.) 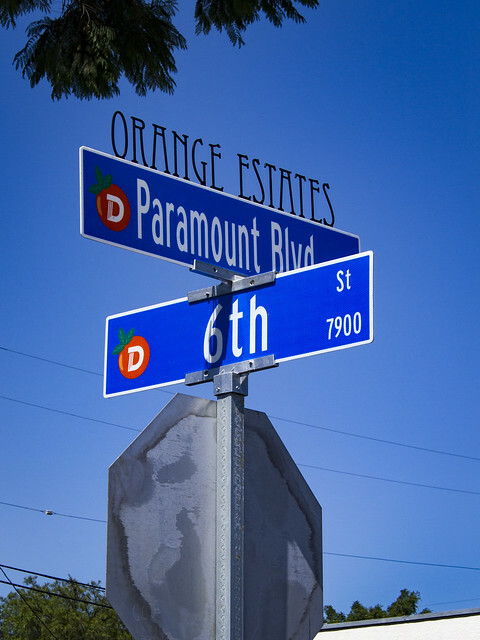 Now it's officially an area, as you can see by the updated street signs with the "D" logo printed on an orange, and "Orange Estates" on top. Kind of makes me feel special!